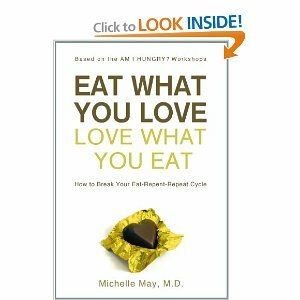 the art of mindful eating : How to be in Charge of Emotional Stress Eating? How to be in Charge of Emotional Stress Eating? Everyone eats for comfort every once in a while. You may crave ice cream if you’re stressed, salty chips when you’re bored, or chocolate if you’re feeling hormonal. Occasional emotional eating isn’t necessarily a problem, but it can become one if it becomes the habitual. Overeating comfort foods can cause blood sugar imbalances, increased inflammation, and weight gain, all of which can lead to serious chronic diseases. Stress eating also prevents you from dealing with sadness, anxiety, and anger -- your ' why' you eat in the first place. Food becomes a drug to numb negative emotions. How do you know if your eating is for soothing stress instead of physical hunger? When was the last time you ate? Notice if it was just a couple of hours ago. What time of day is it? You may be comfort eating if it’s midafternoon or late at night after you’ve already had dinner. Are you mindful while eating? Notice if you’re also checking email, watching TV, or just zoning out. If you know that eating for comfort has become a habit, here are three steps to help you break stress eating pattern. You’re craving chocolate, but are you really hungry? What if you ate an apple or some carrot sticks instead? If you feel like eating “real food” would feel too filling, then you’re not hungry. If you’re not hungry, what is it you really want? What is it that you’re really craving that you’re not getting in your life? You might not want to snack if you’re getting a healthy dose of the things in life that feed you, like loving relationships, a career that excites you, or physical activity. Which of these could you add into your life to feel happier? Maybe you just want a break from work – how about taking a walk instead? Or if you’re feeling lonely, can you chat with a friend on the phone, or set up a time to meet? Or bored? If your job is a drag, can you make it more fun by having lunch with a coworker or giving yourself a non-food reward for finishing up your tasks faster? This is key to breaking the pattern. Practice eating mindfully --without distractions – sit down with a plate of food at a table without any reading material or computer or TV screens. You can have calm conversation with a friend or family member, but otherwise, focus on eating only. If you pay attention to your hunger level, and what your body wants, you end the obsession because obsession and awareness cannot coexist. Join 8-week Mindful Eating Program.